Last night I met my BFF for dinner. We try to get together once a month, just us, and catch up. So what better place than Fondue Stube. Okay she had a Groupon. It’s not like we chose if for its diet friendliness. In preparation for the night I ate very light all day but made sure to eat a snack in the late afternoon so I would not want to eat the table cloth when I got to the restaurant. 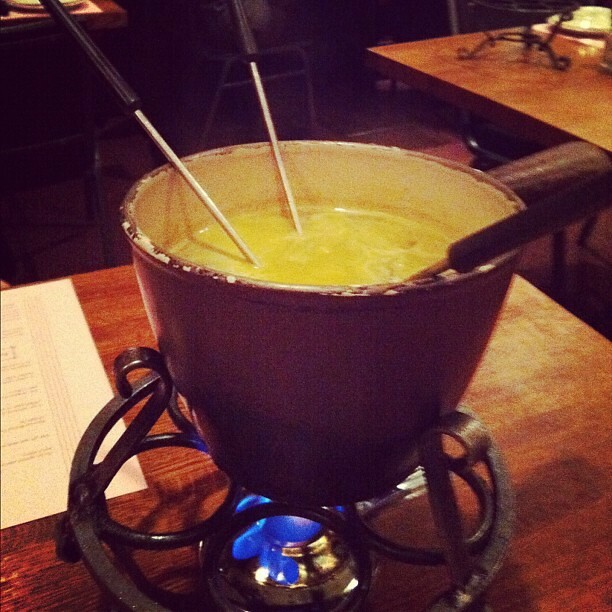 Believe it or not you can eat fondue on 15 point+. We started with a salad that I put 1 TSP of dressing on. So basically I ate it plain then put a TSP of dressing on two bits. It came with garlic bread. I at a VERY small piece. We ordered a half order of cheese fondue. I had 5 bites with bread. We then ordered a full order of shrimp and a half order of beef and A LOT of vegetables with VEGETABLE BROTH (not as fun or as tasty as the oil). 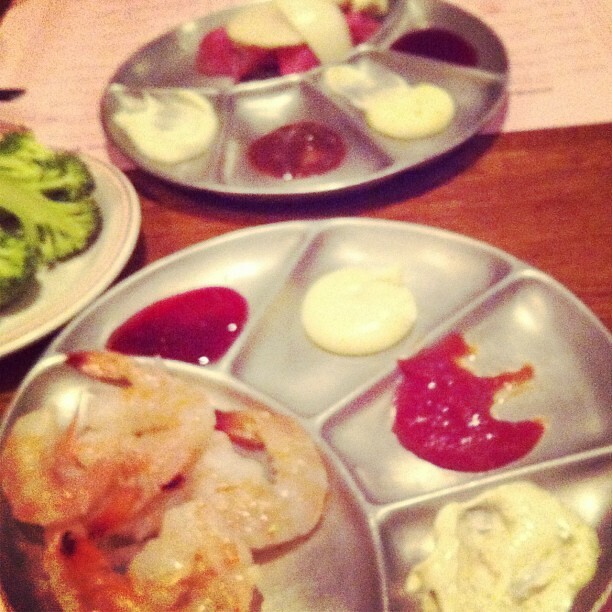 We split the shrimp (around 10 total) and the half order of beef ( total of 4oz). It was a great night. I not only had dinner with my BFF, I also stayed within in my points. 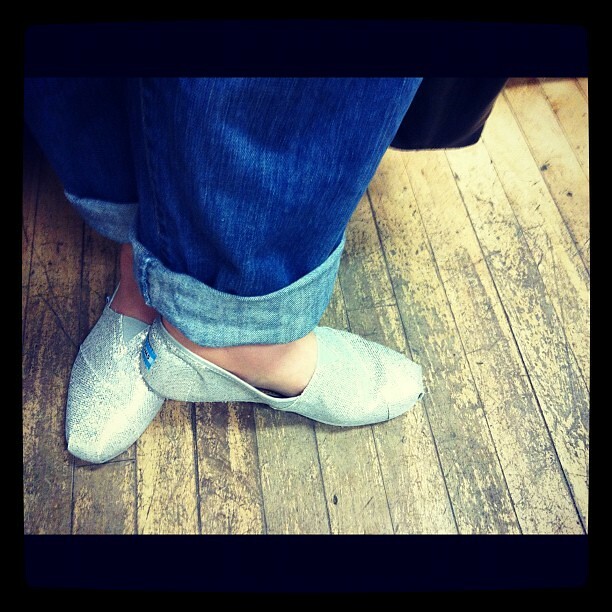 AND, I got to wear my new fun TOMS Shoes. Sparkly!